Brian Thacker Travel Writer | The 10 best desserts in the world. This is one of those places that we went out of our way to go to. 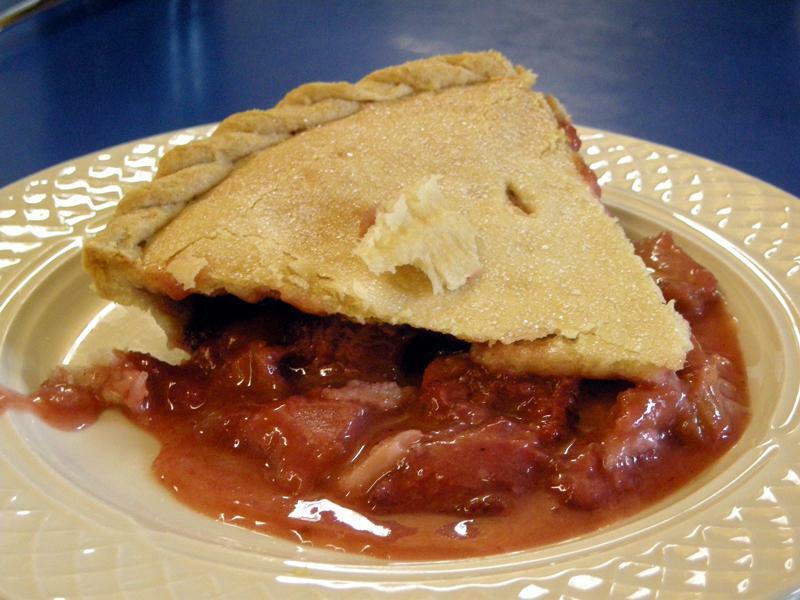 There’s not much in Two Harbors, Minnesota, but there is Betty’s Pies – World Famous Pies since 1956! Even though it was shoulder season for tourists (it was cold and drab) the place was full of folk devouring gigantic slices of pie. It may be as American as apple pie, but there are almost 50 pies to choose from, including Blackberry Peach pie, Bumbleberry pie, Caramel Apple Crunch pie, Cherryberry Crunch Pie, Pumpkin pie, Five Layer Chocolate and Butterscotch pie, Banana Cream pie, Butterfinger Pie and Sour Cream Raisin Coconut pie. We went for the Strawberry and Rhubarb pie and gee wizz golly gosh darn it was it good. 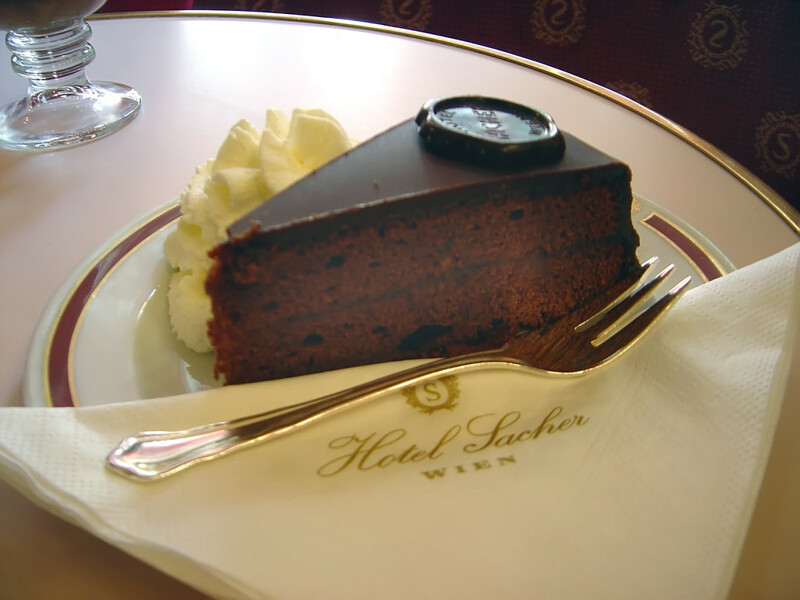 Austria may be famous for apple strudel, but Vienna is famous for the Sacher Torte and there is only one place in the city (and the world) where you can enjoy the original recipe – The Sacher Hotel. The cake was invented in 1832 by 16-year-old kitchen helper Franz Sacher and today, 1,000 cakes are sold daily (There are two people who are employed solely to crack all the eggs — 11,000 each day). The rather delectable cake is a dense chocolate cake made with a thin layer of apricot jam and a rich chocolate icing. Oh, and their apple strudel is amazing, too (I had to try both – for research purposes of course). Like the Sacher Torte in Vienna I had to have some Black Forest cake in the Black Forest. There are certainly plenty of places to have it the southern German region, so naturally I had to try a few. 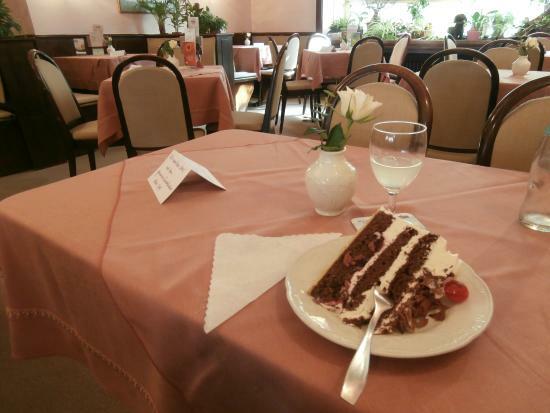 My favourite was the Schwarzwälder Kirschtorte from Café Schäfer in the perfectly twee-cute town of Triberg. Apparently the original recipe came from Josef Keller who was the pastry chef in a café in Bad Godesberg. He created his first cake in 1915 (while Germany was at war) then was whisked away (no pun intended) to serve in the military. When the war ended he opened up his own café and August Schaefer was his apprentice. Josef gave August Schaefer his recipe book which contained the original recipe who passed it on to his son Claus Schaefer – who is Triberg Café’s current Konditormeister (which, although it sounds like a military rank in the German army, actually means Head Pastry Chef). The Medicis ruled Florence for three and half centuries from 1437 and helped revolutionise art, science, engineering, astronomy, physics, politics and economics. 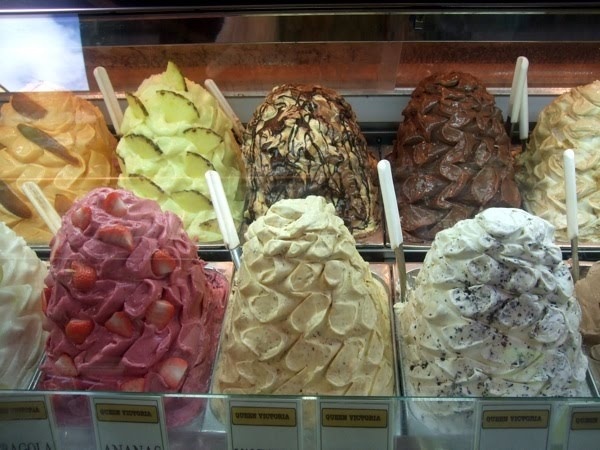 But, the most important world changing event in Florence during Medici’s rule was the invention of gelati. When I worked as a tour leader in Europe I would include a gelati stop (or two) on my walking tour, but what I discovered in a book that I found a bookshop in London changed everything. The book mentioned a gelateria that had been voted the best gelati in Italy for three years running. That gelateria was Vivoli and after my first visit with my passengers it became the highlight of my walking tour (it’s a lot more fun than a bunch of old buildings and statues). My favourites were the Mandarin and sinfully rich meringue flavours. Goodness knows, though, I’ve seen some odd ice cream flavours in Italy, including champagne, prickly pear, whisky, avocado and prosciutto (Hmmm, ham flavoured ice cream!). 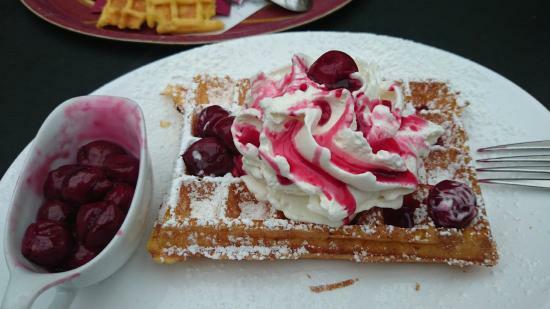 I won’t waffle to long about how good the waffles are in Belgium, but a local took me to Désiré De Lille in Antwerp where their perfect waffles are light, delicate and fluffy. They are so good that I had two serves and couldn’t eat for two days. 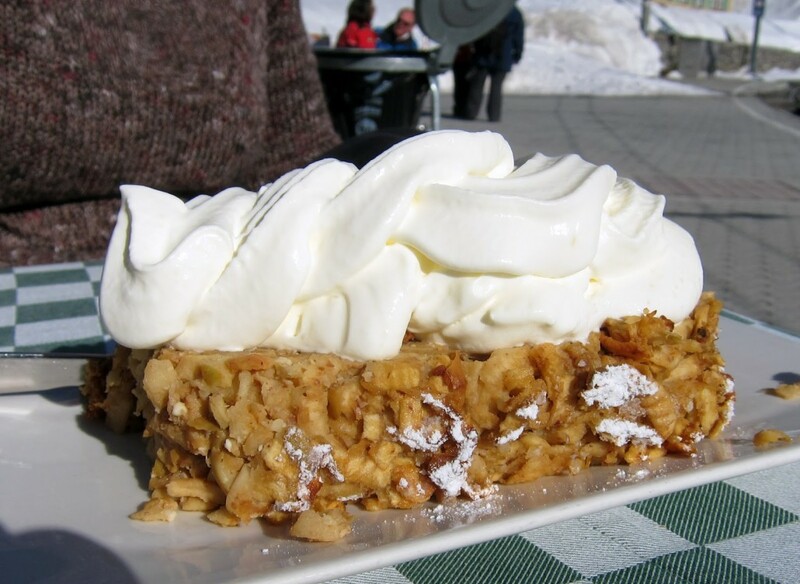 The German language manages to make this delicious dessert sound like a medical ailment (and it sort of looks a bit like something you’d cough up with a terrible ailment), but the Apfelkuchen (and the Schlag!) served up at the Kleine Scheidegg Bahnhof restaurant is divine. I must have eaten 100 of these when I worked as a ski guide in Wengen. Although after a big lunch followed by an even bigger dessert we would all ski the afternoon in a dazed food coma. Vollendam is a oh-so-cutesy fishing village that has been set up solely to drag tourists in (in fact there is no fishing at all any more). Busloads of tourists stop to get their photo taken in ‘traditional’ Dutch outfits then eat some traditional Dutch pancakes (poffertjes). 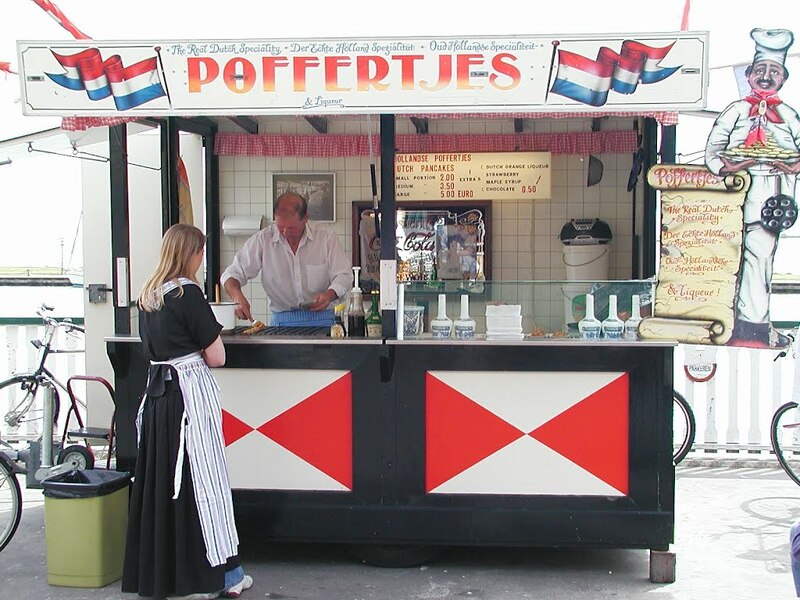 I must have been to Vollendam 25 times and I always had a large serve of poffertjes smothered in strawberry sauce and icing sugar. And dressed up in women’s clothes – but that’s another story. 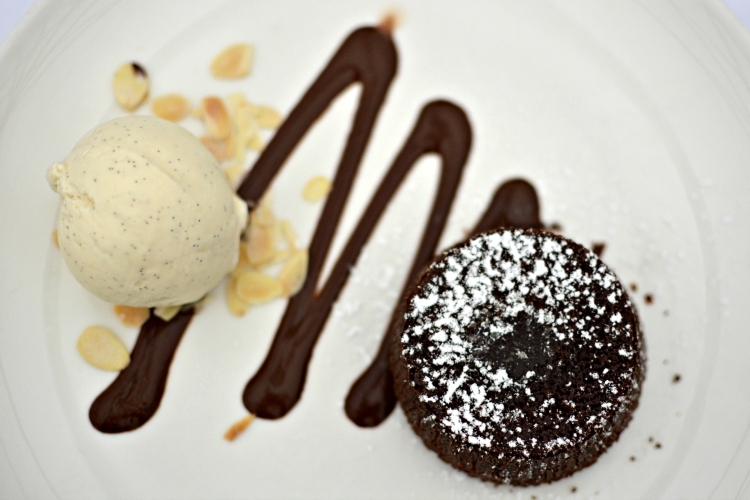 I’ve had Chocolate Fondant at many different restaurants in Paris (I can’t help myself and always seem to order it) and I pretty much loved ever single one I’ve ever had. But if I had to choose one it probably was the fondant at La Gare Restaurant. It was totally rich and totally decadent and I wish I was eating one right now. Key Lime Pie was created in Key West, Florida during the early 1900s as a sweet reprieve when fresh milk was in short supply. There are many places in Key West that claim to make the best luscious combo of sweetened condensed milk and lime juice in a crushed biscuit shell, but my favourite was at Sloppy Joe’s Bar. 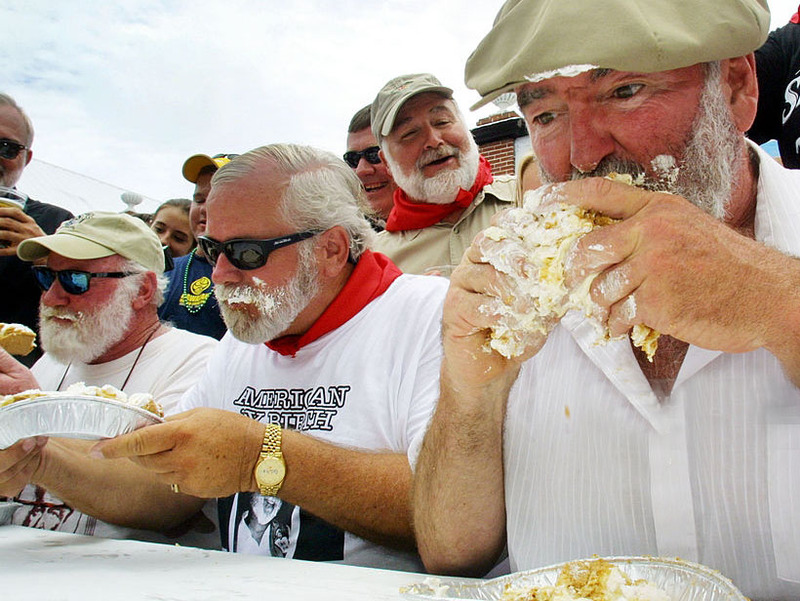 I mean, how often can you eat Key Lime Pie with Ernest Hemingway. 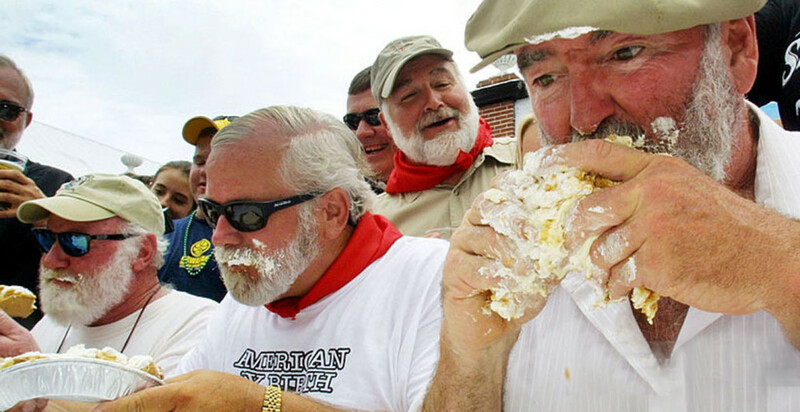 I was there for the Ernest Hemingway Festival where the main event is a Ernest Hemingway look-alike competition (which also includes a Hemingway Key Lime Pie eating competition). I was invited by Ernest Hemingway himself to join him and his family from Melbourne, Florida for lunch and I had my first ever slice of Key Lime Pie. We ate ours slowly – unlike the Hemingways in the picture above. I stumbled upon this place and this dessert. A bunch of us had hired bikes in Lauterbrunnen in Switzerland to ride to Lake Brienz and we stopped at a tiny cafe that looked like it was in someone’s house (or maybe it was someone’s house). We ordered the Appfel Kuchli and it was frightening how good it was. 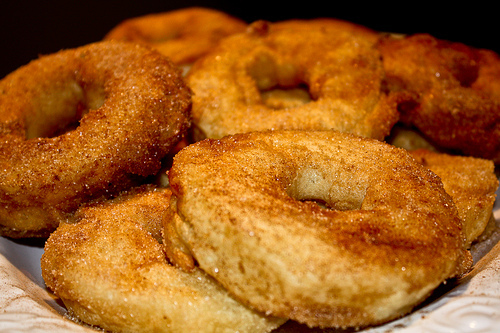 The Appfel Kuchli was slices of apple covered in donut batter and fried, then dusted with cinnamon and slathered with delicious vanilla custard. I was sure that I had died in a bike accident and gone to heaven! Okay, I really am going out to buy a cheesecake now! Travel highlights of 2015. 8 hints for a better flight.